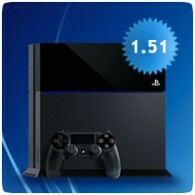 Sony has released the first minor firmware update for the PS4, updating the system software to version v1.51. The minor update is mandatory, and improves the stability of the system software and makes “minor refinements” to the System UI. The update should download to all North American PS4s by default while your console is in stand-by mode. Minor refinements to elements of the system UI, such as clearly indicating when a user downloads a game and a game patch at the same time, have been introduced.